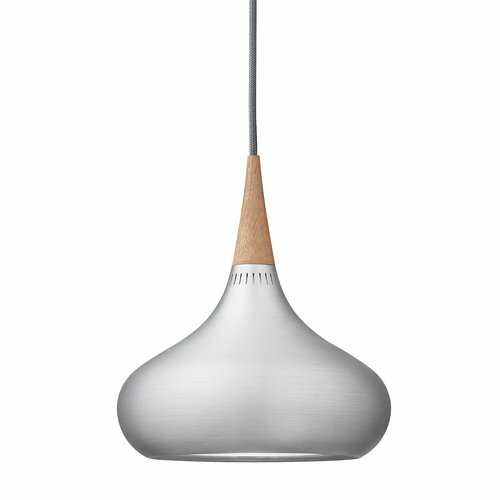 The Orient pendant from Fritz Hansen is a contemporary take on the streamlined classic Jo Hammerborg designed in 1963. The shade has been given an aluminium finish that highlights both the organic silhouette and grain pattern of the oak wood top. 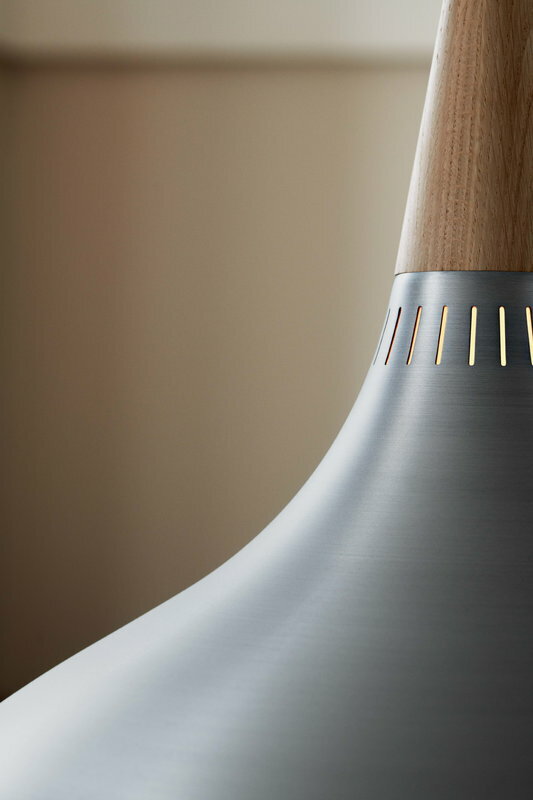 Manufactured originally by Danish Fog & Mørup, Orient creates a pleasant, glare-free light that also filters through the elegant slits on the top. 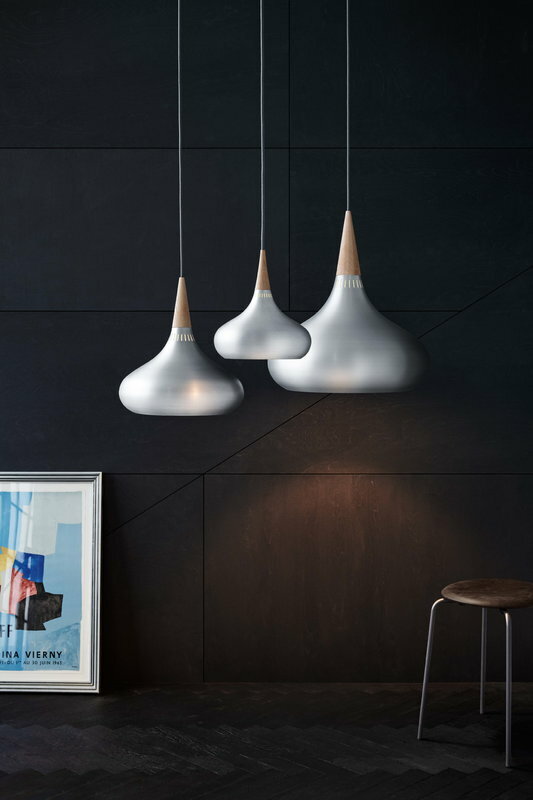 The timeless pendant catches the eye in any space and can be hung individually as well as in clusters. Jo Hammerborg (1920-1982) was a Danish designer who worked as a head designer for Fog & Morup. Thanks for his hard work Hammerborg left the company in history as one of the vanguards of their time. 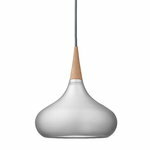 Many of the lamps Hammerborg designed for Fog & Morup have received several prices and recognition.